Summary: Vietnam, Iraq, Afghanistan, and the other small wars we have and are fought. All fruitless in terms of our nation’s needs. All fought at great personal cost by our troops, up to and including the ultimate payment. But no nation can continue to waste the valor of its troops in such a manner without eventually having a reckoning. These are men and women, among America’s best. Eventually they will ask questions. Perhaps they’ll demand a change in the national equation. Today we look at one moment from history described by historian Beth Crumley, a note about wasted valor. Originally posted at the Marine Corps Association website on 15 February 2012. Reprinted here with their generous permission. Over the years I have often talked about Vietnam. How it’s looked at differently than the wars that preceded it. When I addressed the 1st Battalion, 4th Marines in October, I began by asking a simple question: “I am sure that most of you here today were at least aware of some of the history of this battalion before today. The history of this battalion is the stuff of legends…but how many of you sitting here today know anything about the history of this unit in Vietnam?” The only person to raise his hand was an older gentleman, a guest who had obviously served in Vietnam himself. 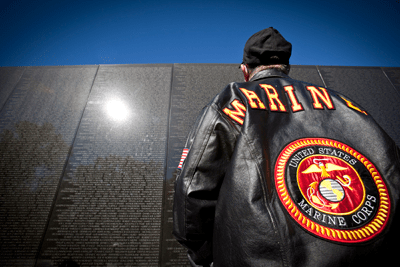 So what was the situation faced by the Marine Corps in January 1969? 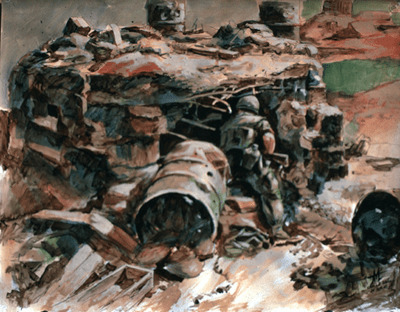 Enemy activity in Northern I Corps was described as “light” and “sporadic.” Along the DMZ, units of the 3d Marine Division faced elements of six North Vietnamese regiments. 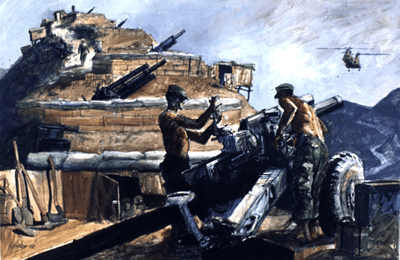 Enemy activity was generally limited to occasional rocket and mortar attacks on allied positions, ground probes by squad and platoon sized units, and attempts to mine the Cua Viet River. 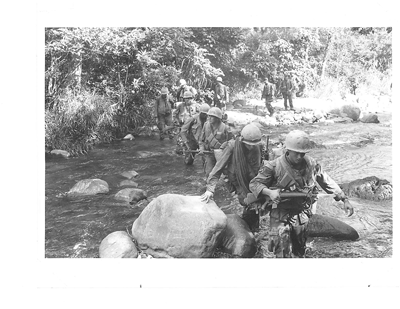 In the central portion of Quang Tri Province, units of the NVA’s 7th Front and the 812th Regiment had largely pulled back into jungle sanctuaries for resupply and replacements. 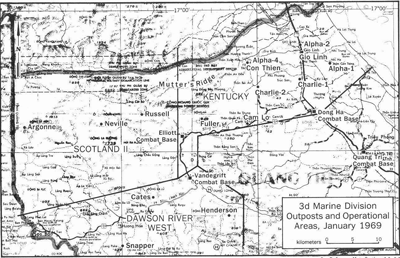 Further south in I Corps, the situation was similar. NVA units had withdrawn into the A Shau Valley and Laos. 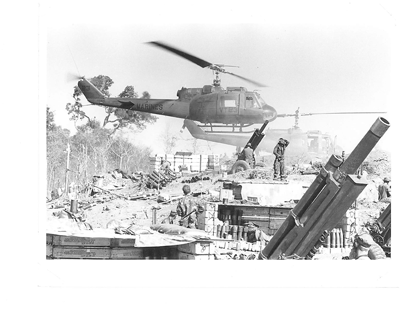 While the enemy generally avoided contact, American and South Vietnamese forces operating in northern I Corps continued their efforts to keep the enemy off balance. They struck at traditional base areas and infiltration routes, and increased security within populated areas. 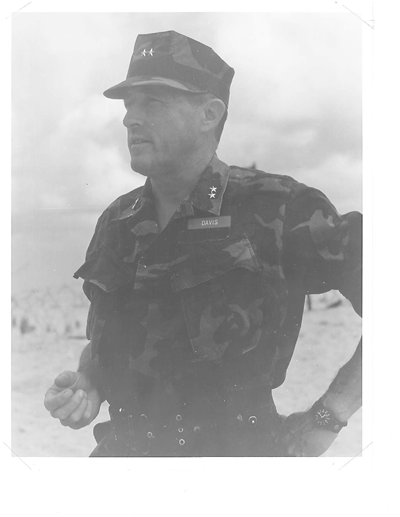 Leading the American effort in Quang Tri Province was the 3d Marine Division under the command of Major General Ray Davis. Davis has been described as a “Marine’s Marine.” He was a veteran of Guadalcanal, Cape Gloucester, and Peleliu. He was awarded a Medal of Honor for leading a contingent of Marines through bitterly cold temperatures, snow, and wind to relieve the beleaguered men of Fox Company at Toktong Pass during the breakout from Chosin during the Korean War. Now, under Davis’ leadership, tactical disposition of the 3d Marine Division was turned upside down. When he took command in May 1968, much of the 3d Marine Division was tied down to combat bases, places like Vandegrift and Camp Carroll. They were part of the “McNamara Line” conceived to shut down enemy use of the Ho Chi Minh Trail. And according to Davis this simply wasn’t working. Marine battalions were being pulled back into defensive positions at the combat bases at night. This, he felt, was contrary to the way Marines think. Marines attack. They don’t hunker down. He saw combat being broken off when nightfall was eminent so that combat bases could be manned. “Forgetting about bases, going after the enemy in key areas-this punished the enemy most. … The way to get it done was to get out of these fixed positions and get mobility, to go and destroy the enemy on our terms, not sit there and absorb the shot and shell and frequent penetrations that he was able to mount. So how did one of these high mobility missions play out? Armed with intelligence supplied by these recon patrols or through radio intercepts, the Marines advanced rapidly into the area of operations. Forward artillery positions, fire support bases, defended by a minimum of personnel would be established on key terrain features-hilltops. These bases were constructed about 8,000 meters apart, and provided ground troops with an umbrella of continuous artillery support. Ground units were inserted in the area and were able to move rapidly and largely on foot throughout the area to be searched-these were search and destroy missions! Those serving in the 3d Marine Division found themselves confronting the enemy from the Laotian border to the coastal lowlands. There were no named battles, only named operations, endless patrols and missions which blended together. Those who fought, and bled and died did so in places largely forgotten by history, remembered only by those who served there, or by their families and loved ones. The 4th Marines were responsible for patrolling the mountainous region north of Vandegrift Combat Base and south of the Demilitarized Zone. To the northwest of Vandegrift, 2 platoons of Company H, 2d Battalion, 4th Marines, along with elements of 3d Battalion, 12th Marines held Fire Support Base Neville, located atop Hill 1103. Ten kilometers east, additional elements of the 12th Marines, and a detachment from the 1st Searchlight Battery, held Fire Support Base Russell. Both bases had been carved out of the mountainous terrain in late 1968. Neville was under attack by some 200 sappers from the 246th NVA Regiment. According to Sergeant Terry Webber, “The earth trembled and the noise was deafening. I felt as if the world was ending that foggy night.” After infiltrating the concertina wire on the west side of the perimeter, the sappers crisscrossed that portion of the base occupied by 1st Platoon and Battery G’s #6 gun pit. Tossing satchel charges, they forced the defenders into bunkers, which they then destroyed. “When an enemy round detonated in an 81-mm. mortar emplacement and ignited an uncontrollable fire, Sergeant LaPorte quickly directed the men of his mortar crew to evacuate the position and led them to a covered location, then returned and organized a firefighting crew to extinguish the blaze. Observing 2 wounded Marines lying in positions dangerously exposed to the North Vietnamese fire, he boldly maneuvered through the hazardous area and assisted his injured companions to a location of relative security. “Diving into his gun pit, he commenced single-handedly firing his mortar at the invaders, and although blown from his emplacement on two occasions by the concussion of hostile rounds impacting nearby, resolutely continued his efforts until relieved by some of the men he had freed. Observing a bunker that was struck by enemy fire and was ejecting thick clouds of smoke, he investigated the interior, and discovering five men blinded by smoke and in a state of shock, led them all to safety. “Sergeant Balignasay was momentarily stunned when thrown to the ground. Recovering quickly, he was immediately wounded by the detonation of a mortar round nearby. Ignoring his painful injuries, he raced through the fire-swept area to the point of heaviest contact and, organizing uninjured Marines, deployed them into effective fighting positions. Shouting words of encouragement to the men, he directed their effective suppressive fire against the advancing hostile soldiers and was instrumental in the Marines’ killing numerous enemy and successfully defending their position. A friend once told me that as long as a Marine is remembered he is not dead. These 43 Marines, who gave their lives defending two fire support bases, hacked out of low jungle and mountainous terrain, are part of Marine Corps history. They will never be forgotten. Previous Post Question time on the FM website. Post your questions and answers! My father served in the 3rd Marine Division in WWII from 1943 on. He then ended up in China for a few months before he came home. I still believe that it was the most signficant episode in his life, both for good and bad.. For him, there was never an issue about what the war was about and he never had much respect for those who managed to avoid combat. Interesting, however, that with Vietnam he always advised young male relatives or friends to get a deferment. He always advised them not to go if they could manage it. He didn’t go into detail, nor did he ever make a political argument against the war. My take many years later – he died relatively young – was that he knew what war was, and made a decision that whatever the Vietman War was about, it wasn’t something that was worth a young man’s bearing that kind of burden for. In any case, an argument can be made that America’s wars since WWII have been somewhat akin to the so called “cabinet wars” of the 18th C. European monarchies. As such, these wars are not only causing various harm to those who serve, but they cast a moral pale over the general population of those who don’t serve, but might have if things were different. Governments that conduct these kinds of wars give their populations no good choices. Kabinettskriege (English: “Cabinet Wars”, singular Kabinettskrieg) is the German expression referring to the type of wars which affected Europe during the period of absolute monarchies, from the 1648 Peace of Westphalia to the 1789 French Revolution. It is also known as “war between princes.” Such wars involved small armies, noble officer corps, limited war goals, and frequently changing coalitions among the belligerents. that cabinet wars were fought mostly by mercenary armies. Little valor, low casualties. That doesn’t well describe either the US military or the insurgents we fight. cabinet wars had low civilian casualties, unlike these modern wars. To push the analogy a bit, soldiers now still comport themselves and are inspired by the mentality of a “republican” levee en masse. Only to stop one day and discover that they’re being used by the government like they’re the soldiers of a cabinet war. Waking up from such a cognitive dissonance results in disorientation and anger. Hence the disquieting possibility of, as you say, a reckoning. Question: how would either of the major party candidates react if they were directly asked whether they are encouraging their own children to serve in the military? And would the political culture of our age regard such a question as being somehow inappropriate? We must recognize two distinct classes of soldiers in America: the elite West-Point-educated officer corps, whose mommies & daddies know a congressman in order to sponsor them for an appointment (which is what you need to get into West Point), and the vast mass of impoverished poorly educated rural kids who join the army as the only escape from poverty. Stats show that the best & brightest of the elite officer corps are leaving the army in record numbers. Source: “The Army’s Other Crisis: Why the best and brightest young officers are leaving,” Andrew Tilghman, 2007, The Washington Monthly. Meanwhile, recruitment is booming among the poverty-locked deep southern states of America: “In rural counties in Southern states, recruitment rates were more than 44% above the national average. In contrast, the rate of people joining the U.S. Army from Northeastern cities was nearly 40% below the national average.” Source: “Largest Share of Army Recruits Come from Rural/Exurban America” by Tim Murphy and Bill Bishop, 2 March 2009. Thus, a backlash appears to have developed among the officer corps — but the poverty-stricken twenty-somethings in the deep south, who form the main pool from which the Pentagon draws its enlisted men, have increased their enlistment rates with the onset of our current recession. Moreover, as the recession worsens, those poverty-stricken southern-state boys are signing up in ever greater numbers. The lawsuit filed in 2007 by veterans of the Iraq War alleging that the Pentagon deliberately withholds medical care and disability pay from injured vets does not appear to have affected recruitment rates. Meanwhile, stats show that only 23% of vets make use of the Army’s college bonuses. This is perhaps as we would expect, inasmuch as the people now volunteering for the U.S. army are so disproportionately poorly educated that few of them would qualify for college regardless of their financial ability to pay. See a FM Reference Page for links to a wide range of articles about the Army’s ability to attract and retain good people. Note that the recession and resulting high unemployment have eliminated the military’s difficulties attracting and retaining people. Now, as the reductions in force have begun, people who want to say are being kicked out.